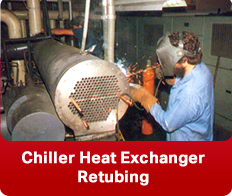 Condenser & Chiller Services has been performing quality heat exchanger repairs, coatings, and non-destructive eddy current analysis since 1985. Our service group is comprised of individuals who have been in the industry for over 30 years. We have repaired and retubed centrifugal chillers with capacities up to 12,000 tons, and recip condensers as small as 20 tons. We retube water tube boilers such as Ajax, Rite, and Thermopak. We retube many makes of ammonia evaporators and condensers such as Henry, Chillcon, Frick, and Standard. 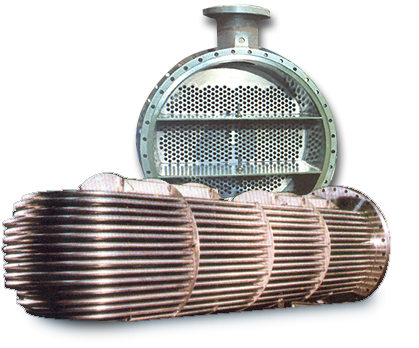 We retube steam surface condensers such as Graham, Westinghouse, Sweco, American Standard, Lummas and Ecolair. We retube and sell new lube oil coolers. 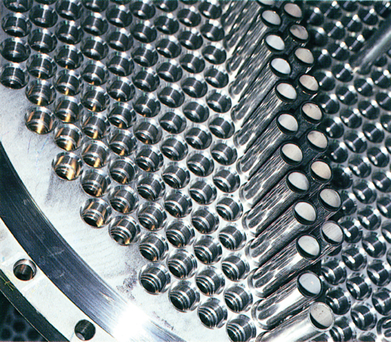 We specialize in retubing heat exchangers and upgrading units such as Bell & Gossett, Carrier, Trane, York, Westinghouse/McQuay, Smardt, Chillcon, Thermax, Broad, Standard, Ketema, and Sabro. We can provide you tools, tubes, plugs, repairs, and inspection services on all of these types of units and many more. 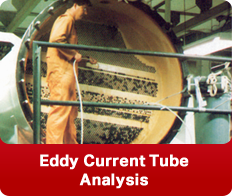 We perform eddy current and remote video tube inspections on over 1,250,000 tubess per year. We stock and manufacture replacement condenser, evaporator, and heat exchanger replacement tubes in many different alloys. 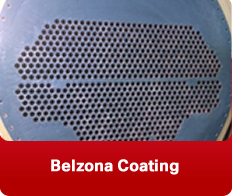 We grit blast and Belzona epoxy coat condensers and evaporators to fight corrosion. We stock and sell Goodway cleaning tools. We stock thousands of tube plugs in many alloys and sizes. We are NBIC and ASME certified with “R” and “U” stamp certifications. We can perform complete retubing and NBIC repairs at your facility, or you can ship your heat exchanger or condenser to our shop where it can be retubed in a matter of days instead of months. 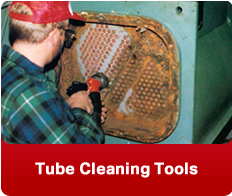 In addition to our service expertise, we are an authorized distributor of cleaning & repair tooling for the leading manufacturers of HVAC&R equipment.